If Acura is the luxury division of Honda Motors, Infiniti is for Nissan. These two huge automobile companies have brought generic vehicles to their customers, and now they have decided to launch the luxurious ones for the upper classes. Infiniti started their sales on November 8, 1989 in North America. The marketing linkages for Infiniti vehicles have surpassed the 230 mark in over 15 countries worldwide. The badge of the company represents a chrome embossed plate with a symbol denoting the shape of a road prolonging infinitely towards the horizon. 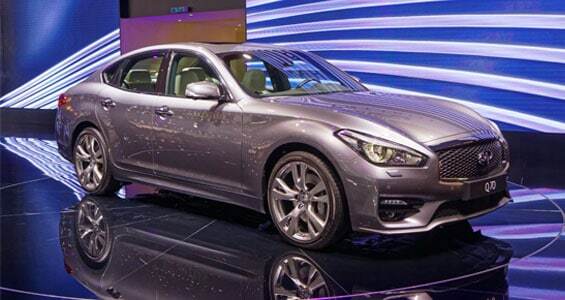 Although Infiniti’s mother company originally came from Japan, it was introduced to the country only in 2013 and the first Infiniti vehicle, a hybrid-powered variant of the Infiniti Q50, only went on sale this year. The Infiniti lineup, however, has identical models with the Nissan lineup prior to the said introduction to Japan. The Infiniti G is the equivalent of the Nissan Skyline, Infiniti M for Nissan Fuga, the Infiniti EX as the Nissan Skyline crossover, and many more. 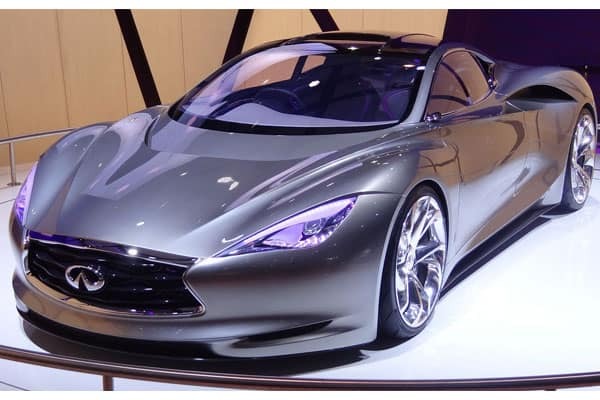 During the second quarter of 2013, Infiniti said that their Q30 Concept car will be launched at the 2013 Frankfurt Motor Show, where various car companies and spectators would see the company begin a huge head start in making the brand into premium segments. This new chapter should initially change the names of the present vehicles to “Q” followed by a number designating the model’s rank in the lineup. In the late 2013, Infiniti started the production of their vehicles outside Japan. Two models are expected to be manufactured in a plant in Xiangyang, China this year. The said plant is a joint venture between Nissan and Dongfeng Motor. In 2015, Infiniti also plans on producing a new compact car variant named Q30 in Sunderland, England. When it comes to sales, Infiniti had their all-time high in 2005 for their US sales that reached over 135,000. It persisted up until 2013 with slight yearly differences. However, their sales in Canada and China have not reached 10,000 since their first sales period. Experience how luxury is treated as a unique art form with the Infiniti Q70. Every little details matters for the Infiniti Q70. As such, drivers and their passengers will truly appreciate the amount of work put in and when assembling this vehicle. With leather-appointed seats accentuated with Japanese Ash wood, the Infiniti Q70’s interiors is a delight to anyone’s senses. The Infiniti Q70 also comes with its own Intelligent Key (I-Key). The car automatically responds once the I-Key comes into proximity and reconfigures settings to the driver’s preferences. Several safety features offer an innovative and smarter driving experience. The Backup Collision Intervention prevents the car from colliding into obstacles; INFINITI Safety Shield® system provides all-around protection. 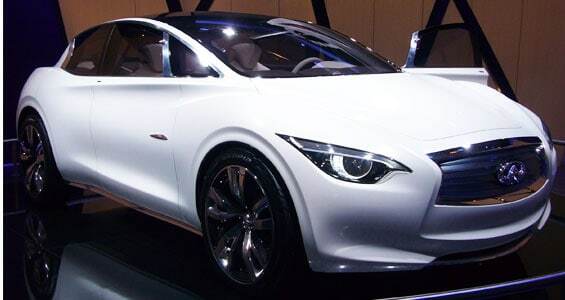 The Infiniti Etherea is a concept car designed and produced by Infiniti, a division of Nissan Motors. It was first launched at the Geneva Motor Show in 2011. It’s a 5-door hatchback that borrowed concept from the Nissan Qashqai, Lexus CT200h, and the Renault Megane. A hybrid that provides efficient performance – that’s what the Infiniti QX60 Hybrid promises for its riders. 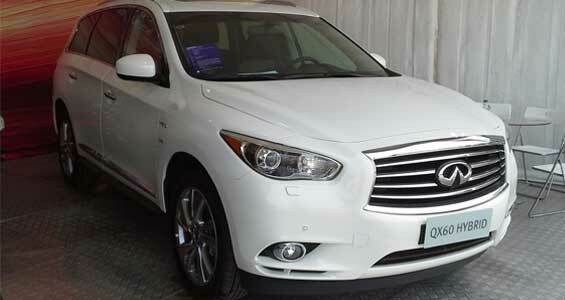 Impressive as well, for hybrid vehicles, that is, is the QX60’s attractive design! The Infiniti QX60 Hybrid comes is equipped with an intelligent all-wheel drive (AWD) that allows drivers to have the best control of the vehicle, even in the toughest driving conditions. Additionally, the QX60 adapts on the fly when adjusting torque – perfect for seamless shift of gears! A lithium-ion battery grants supplemental power during acceleration. Combined with regenerative features upon braking, the Infiniti QX60 Hybrid assures that power and fuel efficiency does not go to waste. What a beautiful ride this environmentally-friendly car is! With spacious interiors meant as a personal connection towards the driver, and an upscale cabin that is designed to impress, you can only expect a fantastic drive in this one! 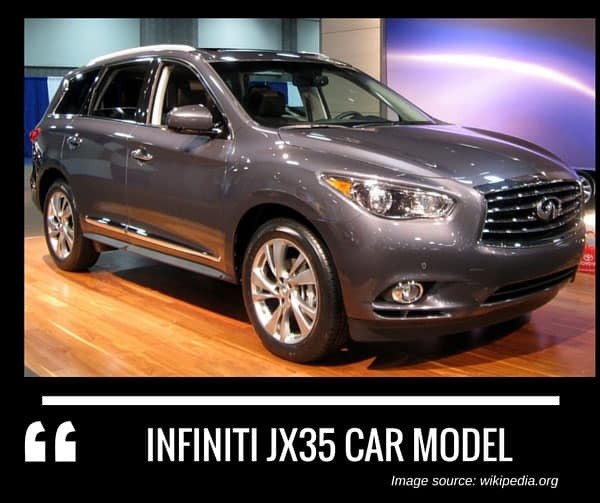 Infiniti Vehicle News, Trivias, Photos and Car Updates.